The Cassiar Highway ended up being a fantastic decision decision for us. The road was completely paved with only a few areas that required us to take it slow. The further north you travel the narrower the road starts to get, but nothing terrifying. And, with hardly any traffic in either direction there’s really no pressure to go any faster than you’re comfortable. 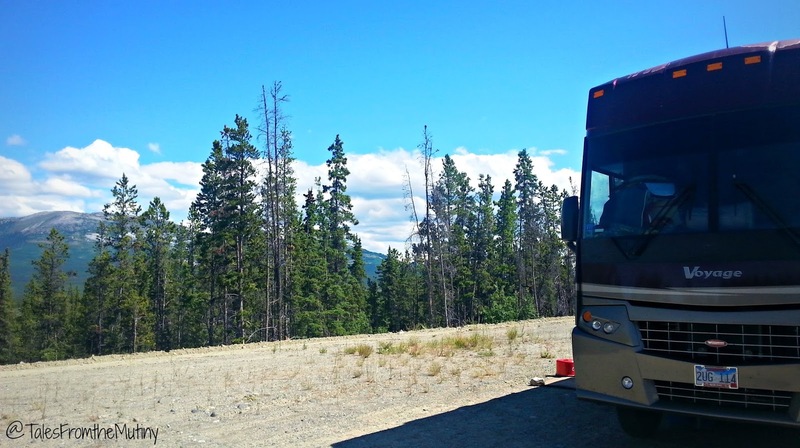 We found adequate fuel stations along the way, thanks to resources like The Milepost and a Stewart-Cassiar flyer we obtained at the Prince George Visitors Center. The other nice thing about The Milepost are the warnings, annotated in red lettering, throughout the Milepost. 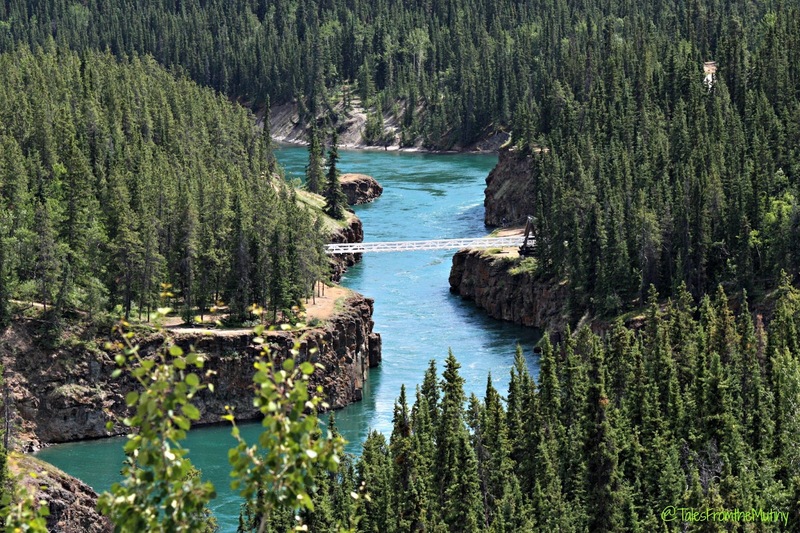 As we drove I could tell Clark miles ahead of time that there was a narrow bridge coming up or a rough patch of road or a gas station that we needed to slow down for and not pass (there aren’t many options for making u-turns on the Cassiar, it’s just too narrow). Now, I know that some people are a little off-put by Visitors Centers. After all, they scream tourist to anyone who sees you entering or exiting the building. But in our travels, and not just to Alaska, they’ve more than proven their value time and time again. The Stewart-Cassiar flyer (aka The Highway 37 North/37A document) not only shows distances between points of interest and fuel stations (in miles so you don’t even have to do any math) but on the back it has a list of resources you might find handy (such as where to find repair shops, propane and groceries). 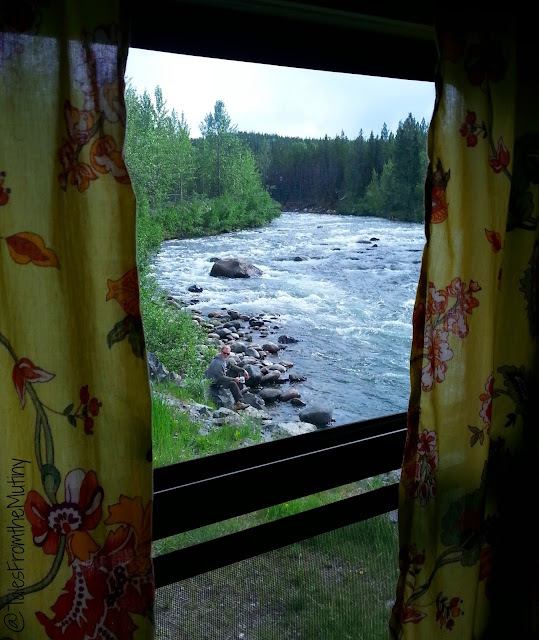 That alone can buy some peace of mind as you head off to remote highway 37. 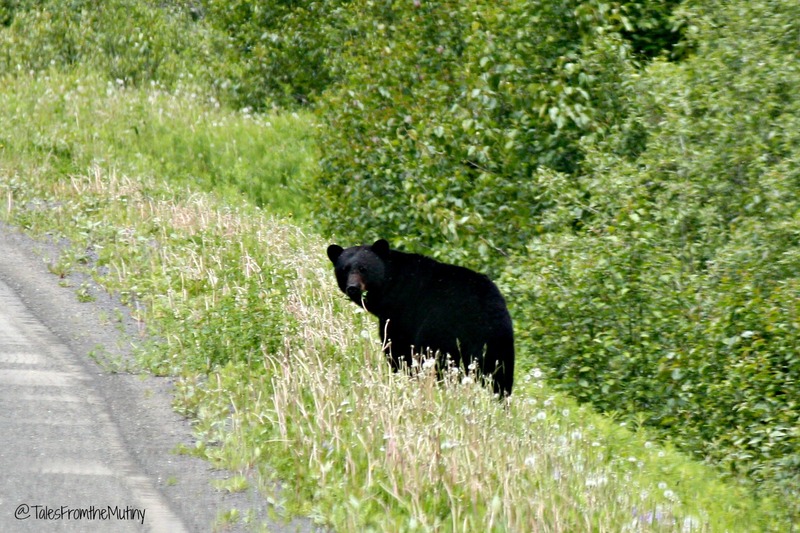 Our trip north on the Cassiar introduced to our first Black Bears (a momma and baby who were grazing on the side of the road, which is a favorite pastime). The view out of our bedroom window at Milepost 298.7 on the Cassiar…hey, there’s Clark enjoying a morning cup of joe! 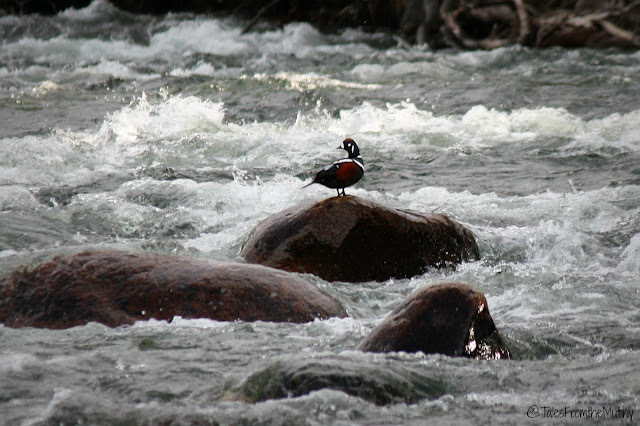 The Harlequin duck who visited. We opted to stay in a pullout near Deas Lake. The spot (at milepost 298.7), which was right on the banks of the Tanzilla River, had trash cans and plenty of space for us to overnight without disconnecting the Jeep. It was also visited by a Harlequin Duck…making it even more beautiful. 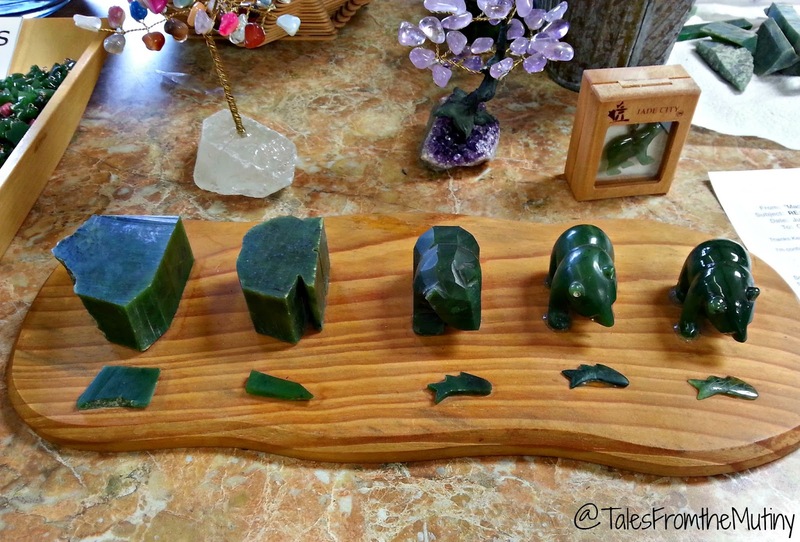 The stages of raw jade becoming a bear. We made a quick stop by Jade City where we learned that 92% of the world’s jade comes from the Cassiar Mountains, and then overnighted at Baby Nugget RV Park (where the Cassiar and the Alcan meet). As cute as this place looks we found it to be one of the least friendly places we’ would end up encountering on this entire trip. At $39CAD per night it seemed a little steep for rude employees and crappy wifi (it only works in the clubhouse) but it did have a laundromat and full hookups so we could, once again, enjoy long, hot showers and clean duds. That’s a mighty nice view for a free over-night spot. MP 828.7. 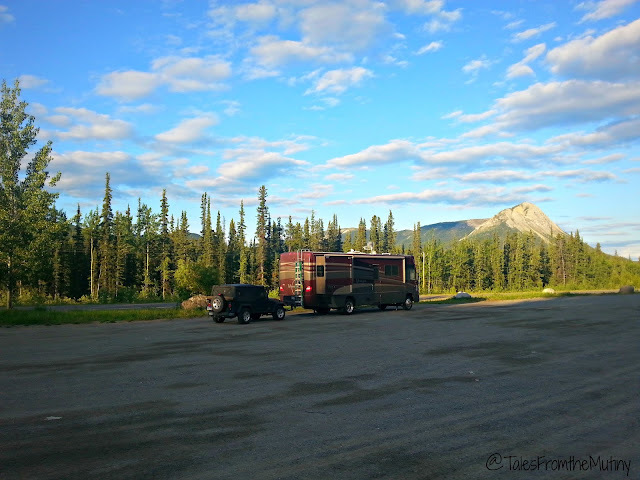 The next night, having officially crossed into the Yukon on the Alcan, we stopped at the rest stop at Milepost 828.7 for one night. This put us in Whitehorse on June 14…officially two weeks from our start date, where we stayed for 3 nights at Pioneer RV Park. They have a little used dry camping rate of $10CAD per night. This gives you access to a dump station and water but you’ll have to buy tokens for the showers and wifi. There’s a laundromat onsite and probably the best fuel prices in the area (plus propane). Dry camping at Pioneer RV Park meant we had the entire upper area to ourselves…including a nice view. We spotted a red fox, just back from a successful hunt or carrying kits (we can’t tell), on Tahkini Hot Springs Road near Whitehorse. Lattes, brownies and 2 pounds of beans at Bean North Coffee. Life is good. 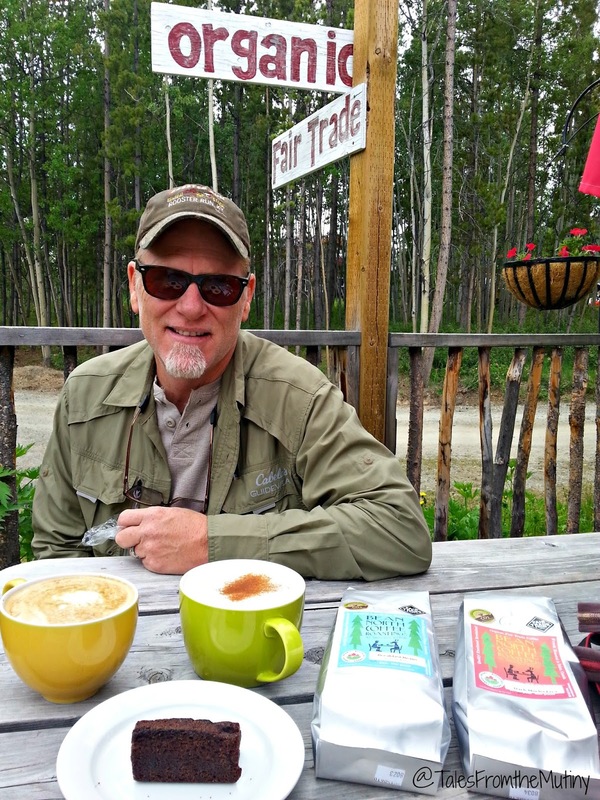 While in Whitehorse we walked around the downtown area, enjoyed some coffee and used the free wifi at the Visitors Center. We took advantage of a beautiful day and hiked Miles Canyon, which is highly recommended. And we also took a drive out Takhini Hot Springs Road. Here you’ll not only find the hot springs, but also Bean North Coffee Roasters (one of my favorite coffee shops and roasters to date) and Rivendell Farm (an organic pick-your-own farm). The drive is beautiful, the coffee is some of the best I’ve had and the Takhini Hot Springs are tranquil and restorative…just what we needed after 14 days of *almost* non-stop travel. Note: the hot springs also runs a hostel and a small campground. It’s an idealistic location, especially since they have a restaurant and Bean North Coffee is a short walk down the road, but may have size restrictions so be sure to call ahead if you want to bring your rig. The Yukon River at Miles Canyon. Yeah, it’s THAT blue. 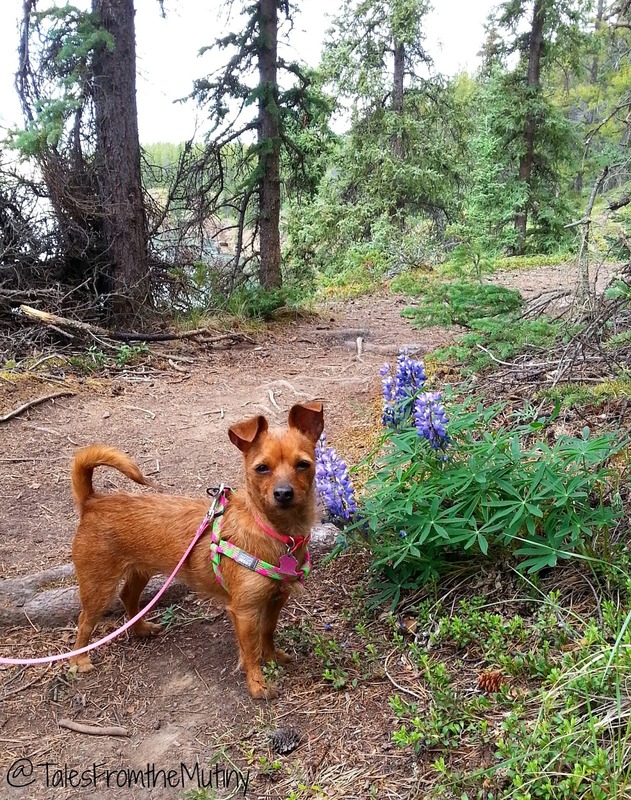 Hiking with Nellie in Miles Canyon…super dog friendly. 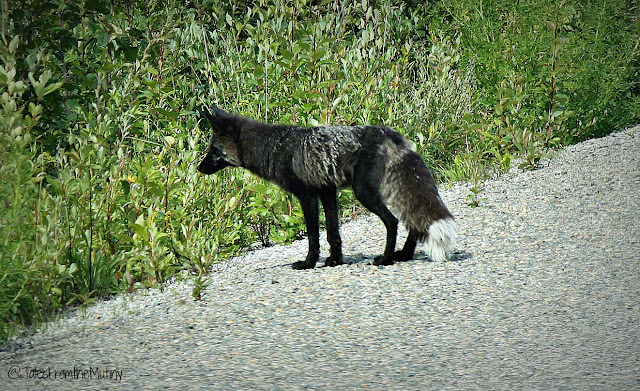 Whitehorse is a huge hub for travelers. You can pretty much find anything you need in this little city. It seems most RVs take advantage of the free overnight offer at the local Walmart. We swung by there but it was packed…and not everyone was just there for one night…there appeared to be a few locals who moved in some time last year. We were able meet up with our friends The Learning Banks, who were caravanning with Ardent Camper, for lunch at The Gr8ful Spud in Whitehorse. These guys were making quick time of their Canadian crossing in hot pursuit of wifi for work. I think they crossed into Canada from Washington 6 days earlier. 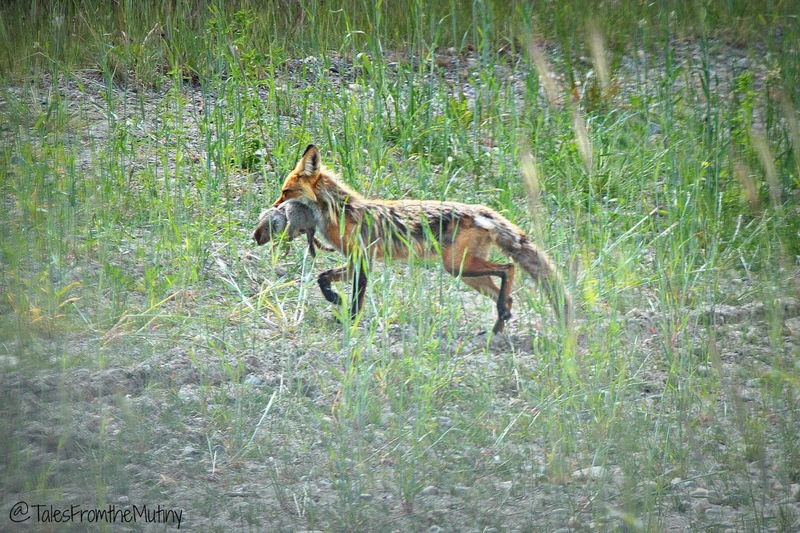 Although they headed out of town before we did we would eventually meet back up with them in Fairbanks for the Summer Solstice.